I’m currently reading Thielman, Frank. 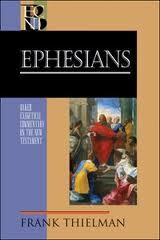 Ephesians. Baker Exegetical Commentary on the New Testament. Grand Rapids, Mich.: Baker Academic, 2010, and it is excellent!